CBC is the most popular conjoint-related technique in use today. 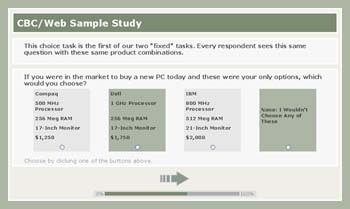 Respondents are shown multiple product concepts (and an optional "None" alternative) and are simply asked which one they would choose. SSI Web supports Windows XP and later.